Canna 'Pretoria' has become one of the most popular cannas grown worldwide and quite understandably. 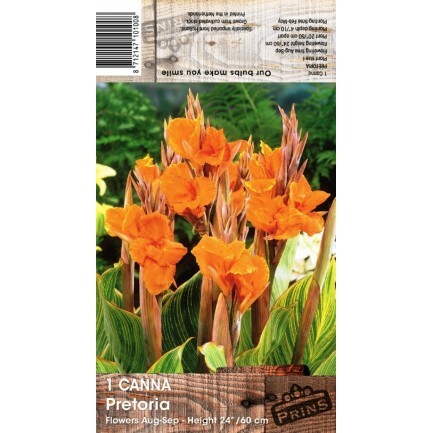 It is a tall, undemanding, robust grower with strikingly marked bright and colourful foliage, topped by huge orange flowers. Given a rich diet and plenty of water in the growing season it is a high octane 'must have' splash of colour for any tropical border.